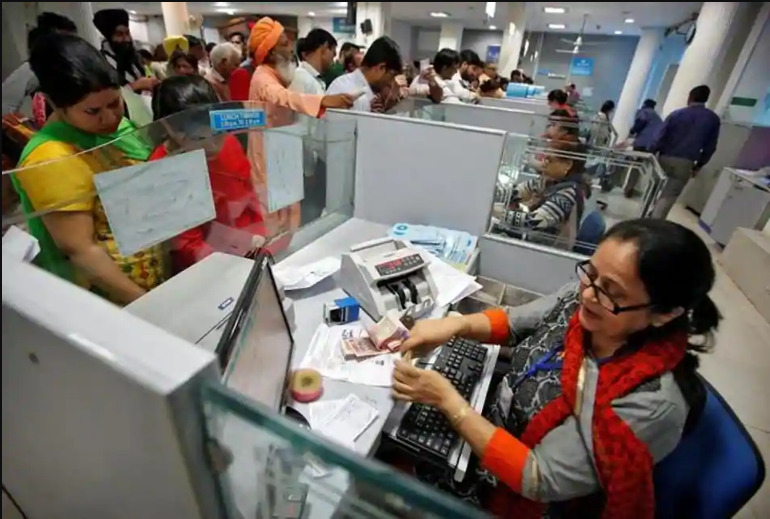 State Bank of India has released the SBI Clerk Notification 2019, through this notification bank has announced a great number of vacancies for the Junior Associates posts. As per the notification details, the bank will recruit total of eight thousand and fifty-three (8653) vacancies for the said posts. Online application has been invited from the eligible aspirants to apply for the SBI Junior Associates recruitment 2019. Those who have a dream to get the banking job are advised to check the complete SBI Clerk Notification 2019 details and submit the application form for the same as per the rules. The application process has been started from today (12 April 2019) and the last date has been scheduled on 03 May 2019. The direct link to apply for SBI Clerk is also provided below. Provident Fund, New Pension Scheme, Medical leave, etc. Step 2: Now press the “Careers” link from the top right of the home page. Step 3: Thereafter go to Latest Announcements” section and press the “RECRUITMENT OF JUNIOR ASSOCIATES (CUSTOMER SUPPORT & SALES) (Apply Online from 12.04.2019 TO 03.05.2019) (Advertisement No CRPD/CR/2019-20/03)” “Download Advertisement (English) “link. Step 4: Notification details will appear at your screen, read the details carefully. Step 5: Now go back and press the “Apply Online” link. Step 7: Finally submit the form and take a print out of the form for future reference.